Ethiopia is one of the most diverse and spectacular countries. 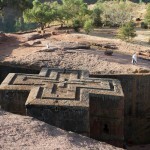 Much of the fascination for this country lies in its myriad historical sites; the obelisks and stele of Axum, the churches and Coptic monasteries in the Tigre, the Lake Tana isles and in Lalibela: the African Jerusalem with its monolithic churches. 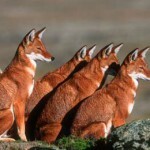 In addition to its historical and cultural interest Ethiopia has nine national parks, two of which include the mountain groups of the Simien and the Bale, while the others lie in the Rift Valley towards Kenya. The unforgettably wild landscapes of the Bale and Simien Mountains (4500m alt) are protected havens of nature where many endemic animal species are protected, and are again beginning to thrive. 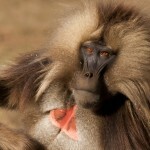 The Simien Wolf, enchanting Gelada Baboona and the Walia Ibex being the most common. 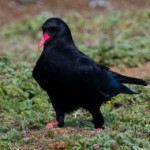 The proximity of Ethiopia to the Equator and the variety of its habitats make it one of the richest countries in Africa in wild bird life. Ethiopia (Abyssinia) is located in the north east of Africa, commonly known as the Horn of Africa. It covers an area of 1,112,000 square km, twice the territory of France, and has an estimated population of 90,000,000 inhabitants with 80 ethnic groups. It is bounded on the north by Eritrea, the east by Djibout, the south east by Somalia, the south by Kenya and on the west by Sudan. The Ethiopian landscape is dominated by a volcanic plateau with an average altitude of 2000 meters, which decreases towards the country’s borders on three sides. The Rift Valley begins at the Red Sea and traverses the Danakil desert (which contains the lowest point on the earth) continuing towards the south of Ethiopia, Kenya Tanzania and Mozambique. It is almost certain that human beings and their hominid ancestors evolved in the eastern zone of the Rift Valley: Lucy, our most distant ancestor, who lived 3.5 million years ago, was found in the Awash Valley. 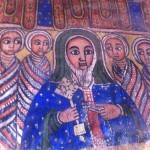 Ethiopia has a very strong cultural identity, which has been preserved thanks to a long period of independence, lasting practically until present times. According to legend the first Ethiopian King, Menelik, was the son of the biblical King Solomon and the queen of Sheba. 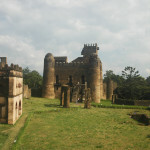 Ethiopia is relatively politically stable and is becoming a popular destinations for travellers. Due to strict customs regulations, it may cause problems at the airport if you carry more than the usual basic electronic devices, especially if they are new. Import Tax payment may be required. Souvenirs imitating historic artefacts have to be approved by the National Museum in Addis Ababa, if not they can be confiscated at the airport customs before leaving Ethiopia. Purchasing receipts have to be saved. You can get your visa from the Ethiopian Embassy or a tourist visa upon arrival at the Bole International Airport in Addis Ababa for the fee of US$50. However we recommend that you apply prior as there are sometimes lengthy queues on arrival at immigration which can cause an unwanted delay if connecting on internal flights. There are two seasons: the dry season from October to May and rainy season from mid of June to mid of September. In Addis Ababa the climate is almost the same year round, with temperatures around 22 degrees Celsius. In the Southern Omo- Valley, the main rains are from March to June and shorter rains in November. The Somali Region and the Danakil lowlands in the Afar Region have a hot, dry climate producing semi-desert conditions. Sunglasses and a hat are recommended for all areas of Ethiopia. Pack light clothes for the day time and a jacket or sweater for the chilly highland evenings, and a good pair of walking shoes. 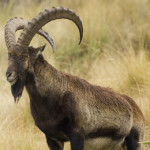 Trekkers in the Simien and Bale Mountains will need jackets, warm clothes, thermals, waterproofs, and binoculars for viewing different animals. When visiting churches clothing should be respectful, covering most of the body. Shoes must always be removed before entering churches and mosques – for travelling around sites like Lalibela with its many churches airline socks are very useful for tabbing around the rock-hewn churches. The Ethiopian national food is a communal dish of Injera with stews of meat and vegetables. Injera is a spongy flatbread made of fermented Teff grain. Meat dishes consist mainly of lamb, chicken and beef, and dependant on season there is wide variety of delicious vegetables available. There are a good number of vegetarian options in traditional Ethiopian cuisine. Pork is rarely consumed in Ethiopia as both the Orthodox and Muslim religion forbid it. Addis Ababa and other larger cities boast of a wide variety of international restaurants. Ethiopia is a Multi Ethnic state with over 80 different languages spoken in the country, and 200 dialects. The main three languages are Amharic, Tigrigna and Oromigna. English is also widely spoken. Money can be exchanged in the airport, in hotels and banks. Exchange requires a passport and the receipts should be kept, as re-exchanging back into foreign currency is difficult otherwise. The Ethiopian currency is the Birr (“Silver” in Amharic). VISA and MASTERCARD are accepted at the major hotels. There are many ATMs available in throughout Addis Ababa. The possession of a valid Yellow Fever vaccination certificate is not mandatory. Immunization for Hepatitis A and B, Tetanus, Typhoid Diphtheria, Meningococcal, and Polio is recommended. Malaria: in most of the country malaria is not a problem because of the high elevation, e.g. Addis Ababa, Axum, Gondar and Lalibela. 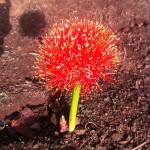 But it may occur in Bahir Dar at the end of the rainy season and after unseasonable rains. Lowland areas along the Awash River, the Omo Valley, Rift Valley and Gambella are subject to malaria outbreaks. Chloroquine resistant strains have been identified in most areas so you should consult your doctor about the prophylaxis required. Visitors should take a simple first aid kit, band aids, antiseptic cream, anti-histamine cream and/or tablets for insect bites, sunscreen (while temperatures are moderate the sun is strong), anti-diarrhea tablets, mosquito repellent, broad spectrum antibiotics, and anti bacterial spray/cream. 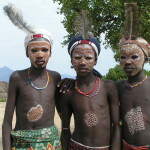 In many places a small fee is charged for photos taken of people, especially in the southern tribal areas of Ethiopia. Video fees can be very high in National Parks and other guarded places.